Humankind has had music for as far back as we're able to define ourselves as such. Some of that music has always been favored by the other cave people, hunters-and-gatherers, farmers, shamans, and whoever else was hanging around. As society changes, our favorite music changes too, and variations in musical memes are passed down through the years. To examine these changes in popular music, The Echo Nest data alchemist Glenn McDonaldtraced nine distinct audio attributes in the 5,000 hotttest songs from each year, 1950 to 2013. This demonstrates the ability of The Echo Nest's deep musical understanding to scale across decades, regions, genres, and more, but it's also just neat from a sociological/musical perspective. The Echo Nest sees music from many angles — everything from reviews written by critics and fans, to the audio attributes of the music itself, which we get by literally listening to the music with software. Our "energy" attribute is part of that later approach. As the name suggests, it measures the energy level of a song. If, for example, a customer of ours were to build a jogging playlist or standalone application, this attribute would be of particular interest to them… but what interests us here is that after a brief plateau, pop music has roughly grown more energetic since the dawn of rock 'n roll. 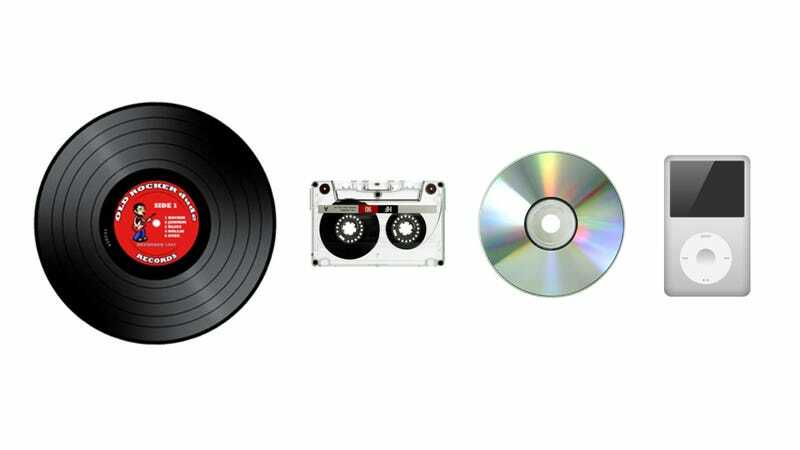 Music today is more "mechanized" than in the past. It's not that music is literally made in a factory now, but more that musicians have increasingly had access to metronomes, clicktracks, drum machines, arpeggiators, electronic keyboards, sequencers, sophisticated software, and other things that tend to produce less than "organic" sound. As time marches on, its beat has grown increasingly consistent, due to drum machines, click tracks and the like. Back when all drummers walked the earth as humans, the tempo used to drift a bit more, within songs. Today, we have some songs where every note is exactly quantized and locked onto the tempo, although much of what we listen to these days consists of a combination of organic and mechanistic sounds. Boing Boing! That's not just the sound of Boing Boing founder and editor Mark Fraunfelder calling Glenn McDonald's Every Noise At Once one of his two favorite things on National Public Radio — it's also the sound of music being bouncy. Glenn's research into how loud music has gotten really struck a chord, with follow-up reports from FastCompany, Gizmodo, and Tonedeaf. It's true — music really has grown louder sounding over time, as part of the so-called "loudness wars." That is 100-percent backed up by our loudness attribute, although audio volume is a bit complicated, so if you really want to understand the science here, you should read this. Cars are faster now. Information is faster. And so, too, is our favorite music. This post was originally published on The Echo Nest's blog. Follow The Echo Nest on Twitter or Facebook for more unique research into music.